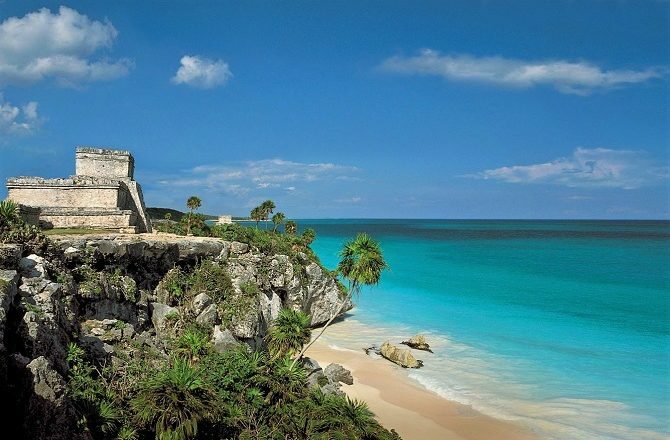 A rundown of the top ten reasons to visit Mexico’s Yucatan Peninsula on holiday. 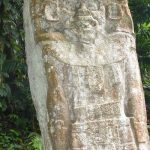 One hates to use the word ‘littered’, so let’s just say that the Yucatan Peninsula is home to a huge number of Mayan sites…. with more still to be discovered. These sites range from the large (Chichen Itza, Calakmul, Uxmal), and very popular (Tulum) to the small and seldom visited (Kohunlich). You simply cannot – can you? 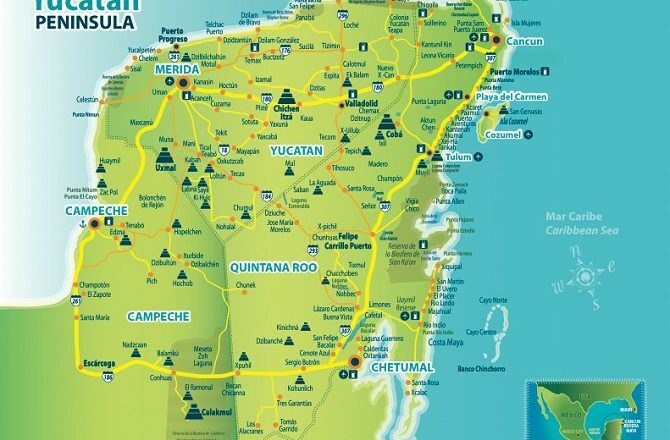 – visit the Yucatan Peninsula and not visit at least one. 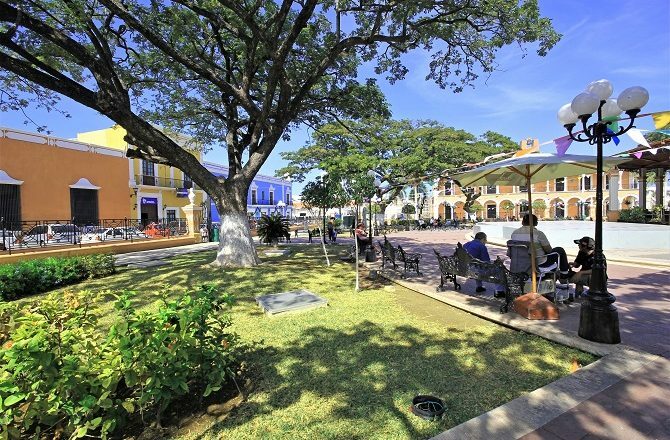 In addition to its numerous Mayan sites, the Yucatan Peninsula is also home to a number of charming colonial towns and cities – principally Valladolid, Merida, Izamal & Campeche – as well as a number of remote convents and haciendas. As part of the region’s Spanish, colonial history, the Yucatan Peninsula is home to a number of Haciendas (farming estates). Some lie abandoned and rotting, others have been converted into historic, visitor attractions while others still have been converted into beautiful and incredibly atmospheric hotels. They might not be cheap but they are an unforgettable experience. My favourite? 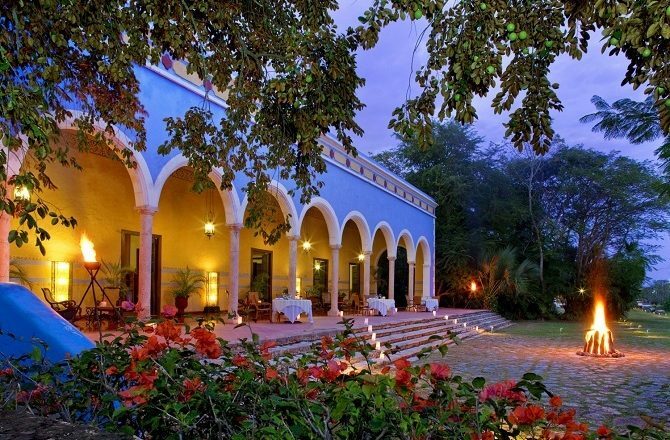 That would have to be Hacienda Uayamon in Campeche state. 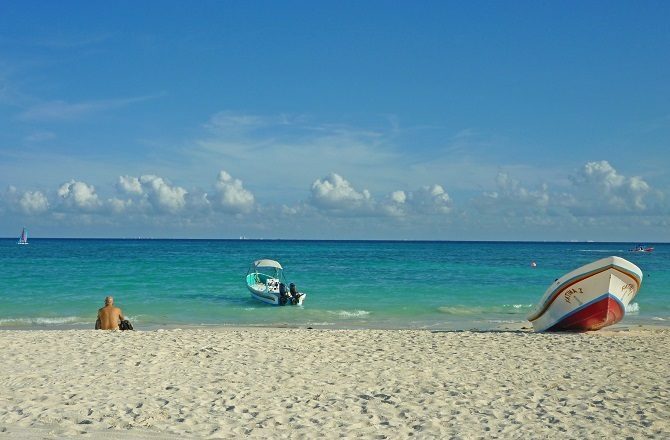 Despite its rich cultural history, there is no getting away from the fact that the number one visitor draw to the Yucatan Peninsula is its superb beaches. These can be found pretty much along the entire east coast as well as the island resorts of Cozumel, Isla Mujeres and Holbox. 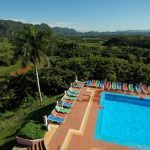 Not only are the beaches themselves great, but accommodation options cover almost the entire range from huge, all-singing, all-dancing All Inclusive resorts to tiny, boho hotels with no electricity. 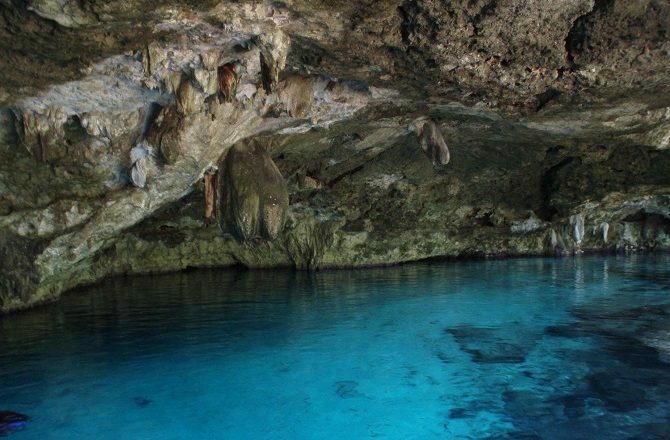 Cenotes are a key geological feature of the Yucatan Peninsula and whether you just want to take a refreshing dip or go on an all-out scuba expedition, a visit to at least one is an absolute must. 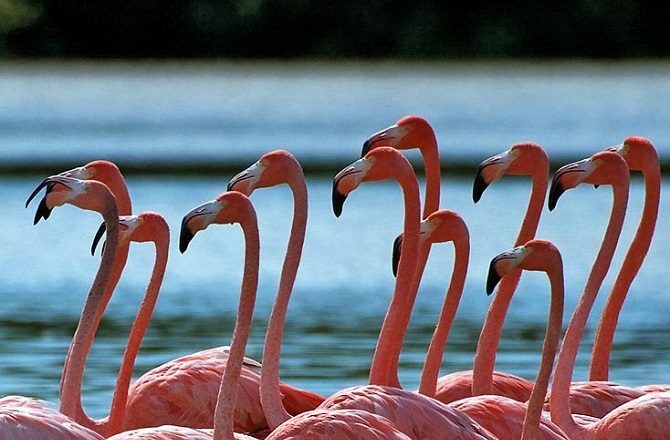 Not many people associate the Yucatan Peninsula with great bird-watching but, with its combination of extensive inland forest and coastal mangrove it’s home to a rich and varied birdlife. In the interior, the Calakmul Biosphere offers great birdwatching opportunities (not to mention epic Mayan ruins) while the coastal reserves at Celestun (west coast) and Rio Lagartos (north coast) are both home to migratory birds, most famously huge flocks of flamingos. The calm, clear waters of the Caribbean, off the east coast of the Yucatan Peninsula, are popular with divers’ from around the world. 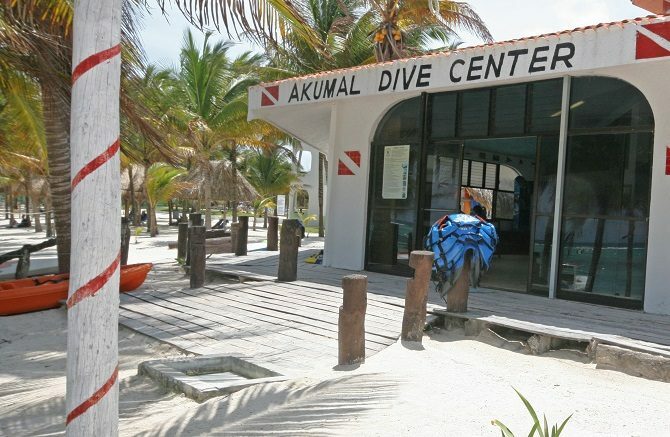 While diving is possible anywhere along the coast, the best location of all is probably the island of Cozumel, roughly midway down. Alternatively, the island of Holbox, just off the north coast, is the place to go every September for whale watching. 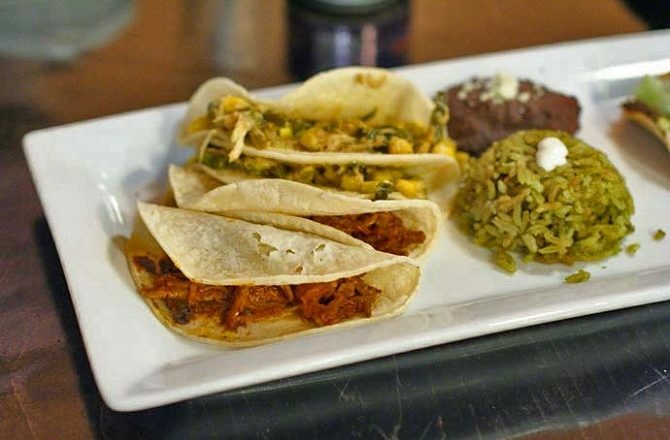 If you just stay at one of the large All Inclusive resorts along the Yucatan Peninsula’s east coast, you will miss out on the region’s (both local and national) delicious food & drink scene. Forget all the clichés that you are used to about Mexico, hit the local restaurants and bars and do as the locals do – and there ain’t nothing better than Ceviche, Yucatan-style. 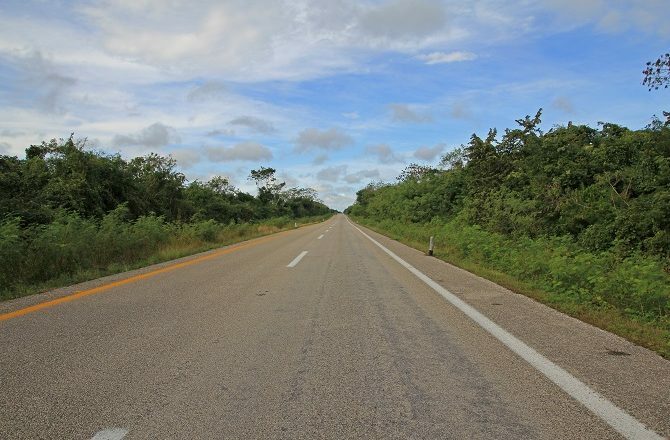 With its wealth of historic attractions, unspoiled countryside, beautiful coastlines and (away from the east coast) largely empty roads, the Yucatan Peninsula is an ideal Fly Drive destination. It’s also very safe (see below). 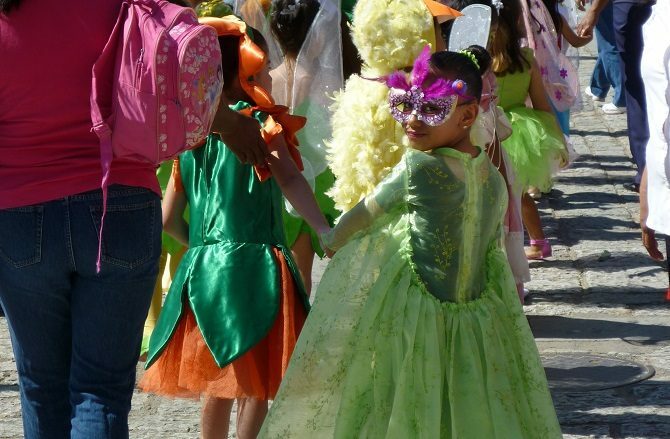 Mexico can get a bad press when it comes to crime and safety – not always undeserved – but many of the problems that blight other parts of the country don’t exist to anything like the same degree in the Yucatan Peninsula where, thankfully, visitor safety really isn’t a major issue.